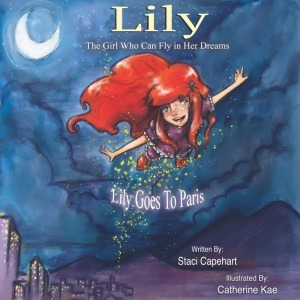 Lily – The Girl Who Can Fly in Her Dreams is a whimsical rhyming children’s picture book about a spirited little redhead that can fly in her dreams. The first book in this series is Lily Goes To Paris. The book begins as Lily drifts off to sleep and in her dream meets Millie, her French friend, who takes her to all of the historical sites of Paris. Together they embark on an educational flying tour at night above this magnificent French city. These two delightful characters develop a friendship in one night time adventure that lasts a lifetime. Copyright © 2019 Staci Capehart. All rights reserved.